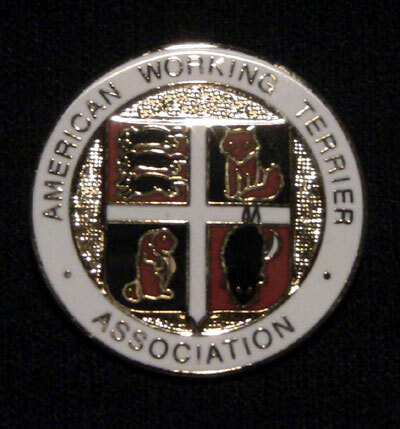 The AWTA pin is 1-inch in diameter (size of a quarter); gold tone metal with enamel colors. 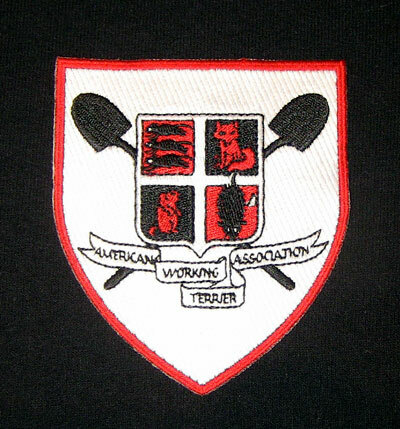 Lettering around the outside is gold on white, the shield is red and black with gold behind it. 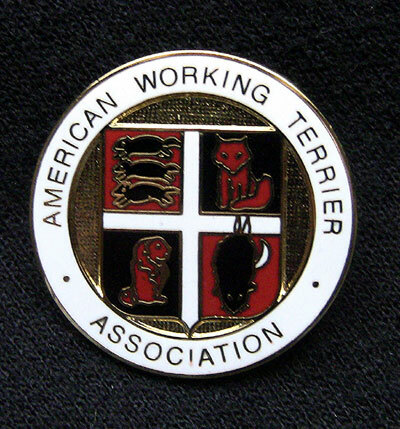 The American Working Terrier Association sew on patch uses white, black and red stitching to represent the AWTA logo. 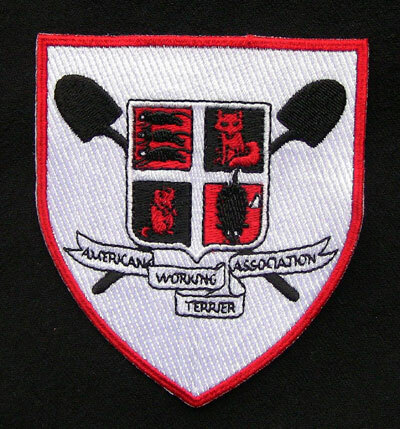 The patch is approximately 3 1/4″ wide across the top and 3 1/2″ tall. 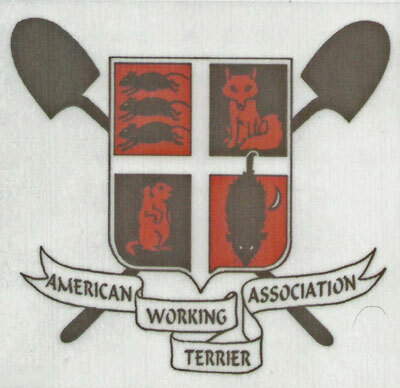 The American Working Terrier Association decal uses white, black and red colors to represent the AWTA logo.